Wherever you are… do as the Russians do! 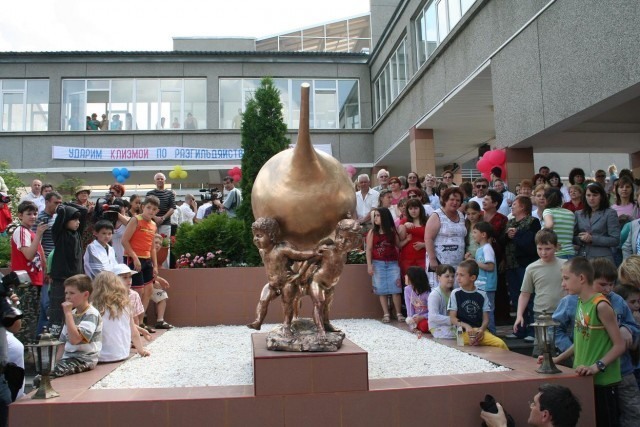 Unveiled in June 2008 to worldwide attention, the Russian spa Mashuk Aqua-Therm is home to the only monument commemorating enemas in the world. The 770-pound bronze statue stands nearly five feet tall and was created by a local regional artist named Svetlana Avakova. 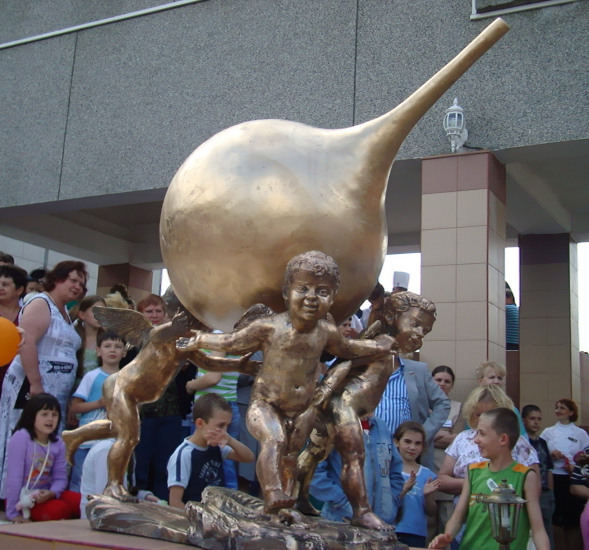 Drawing inspiration from a Botticelli painting entitled “Venus and Mars,” which shows cherubs stealing the God of War’s weapon, the artist fashioned a large bronze bulb held aloft by three cherubs as the motif for the spa. The choice to commemorate such an unusual medical procedure stems from the region in which the spa lies. Known for the many mineral springs in the area, spas such as Mashuk have long been a destination for Russians seeking rest and cures for various ailments in the healing waters.